It’s time again for another burst of Spanish and Latin American culture at the UK’s most important Spanish language festival in Manchester. This is ¡Viva!‘s 25th Anniversary edition and it’s appropriately entitled ‘Serious Fun‘. The Festival kicks off on Friday 22 March with a party open to all. The opening film on the first night is Tiempo después (Some Time After) (Spain-Portugal 2018). 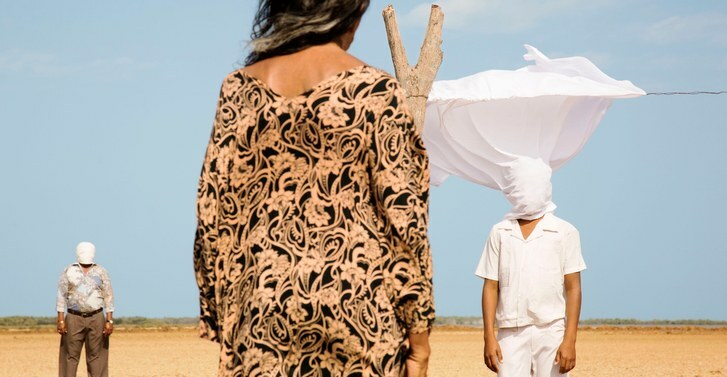 This absurdist comedy sets up the theme of the festival derived from the tradition of esperpento – which according to the festival brochure “uses satire, the grotesque and dark humour to skewer the foibles of contemporary society”. There are 21 new features from Spain and Latin America in the programme. Most are new releases, ten of them UK premières. But there are also archive films and, fitting the theme this time, we get the chance to see the work of masters such as Luis García Berlanga and Álex de la Iglesia and a celebration of the late great Bigas Luna with his ‘Iberian Trilogy’. These are three great directors, each with a distinctive funny bone and a commitment to biting social/political satire. As usual, most screenings are enhanced by introductions and Q&As with special guests. This year there are five short films on the programme, presented before selected features and there are events of various kinds including ‘One Hour Intros’ to the Festival theme and to Contemporary Argentinian Cinema, Café Cervantes and the Language Lab, and a discussion about the environment and mass corporate agriculture. This year’s festival also joins in with HOME’s year-long Celebration of Women in Global Cinema with particular films and events highlighted for the contributions of female directors, writers, producers and stars. 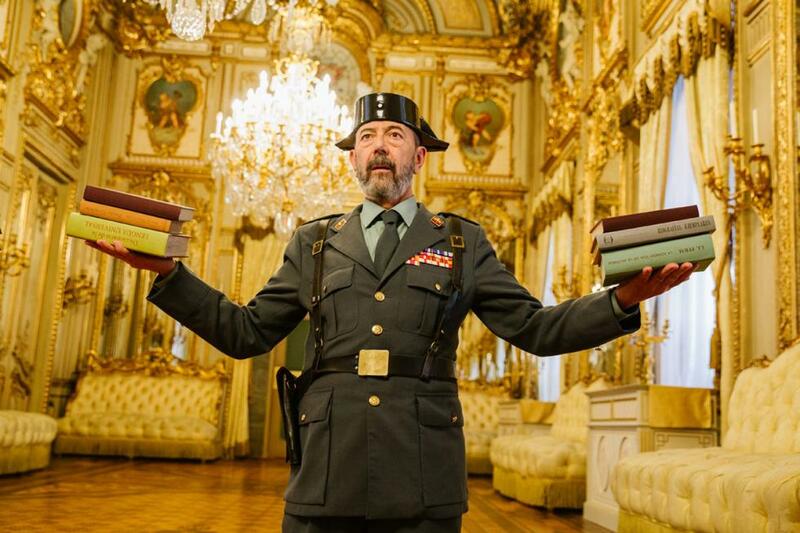 There is also a theatre presentation by Barcelona’s Señor Serrano with their new production Kingdom running from Tuesday 9th to Saturday 13th April. We’ve been attending and reporting on ¡Viva! for a long time (going back to the 1990s) and you can find posts about the festival on the blog using this tag: https://itpworld.wordpress.com/tag/viva/ In all that time we’ve found this to be a very special festival with enthusiastic audiences, great guests and events and the opportunity to see a diverse range of films, many of which would not otherwise appear in the UK. I can recommend the archive screenings, particularly El Verdugo (The Executioner, Spain-Italy 1963) by Luis García Berlanga on Tuesday 26 March at 18.05 with an introduction by Andy Willis. Of the new films, the only one I’ve seen is Rojo (Argentina 2018), showing on Monday 8 April at 18.15 with an introduction by Dr Carmen Herrero. I’d certainly recommend this preview screening. 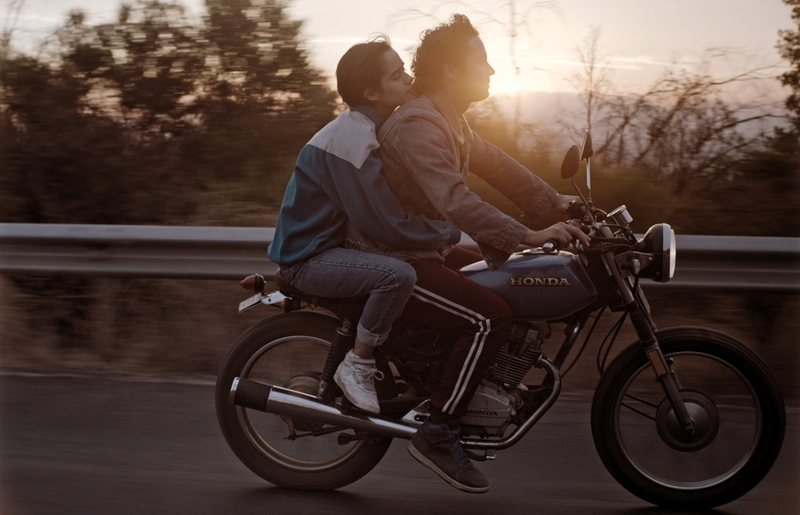 Argentinian cinema is definitely on the rise in terms of the number of films appearing at international festivals (even if they struggle to get seen in the UK). There are six Argentinian titles in the programme including a new documentary by one of the major figures of Latin American cinema, Fernando Solanos. Viaje a los pueblos fumigados (Argentina 2017) shows on Wednesday 27 March at 18.00 with a post-screening discussion on this investigation into the impact of global ‘agribusiness’ in Argentina. There is a second screening on Friday 29 March at 15.50 which I’m aiming to catch. There are 18 Spanish films in all including seven archive features plus other Latin American films from Mexico, Peru and Columbia and one from The Dominican Republic. It’s a wonderful programme put together by the regular team of Rachel Hayward, Jessie Gibbs and Andy Willis and I can’t wait to get stuck in. See you there! Written by Roy Stafford Leave a comment Posted in Festivals and Conferences, Latin American Cinema, Spanish Cinema	Tagged with ¡Viva! There appear to be quite number of films produced in Guatemala but I cannot remember the last time that I saw one. The portrait provided here is of the power of religion in a sector of the middle classes. The country has suffered from military regimes, revolution and civil war, and most recently government corruption. But in this film we only get a sense of a particular fraction and cult. This title was screened in the Berlinale Panorama programme; definitely challenging and controversial. 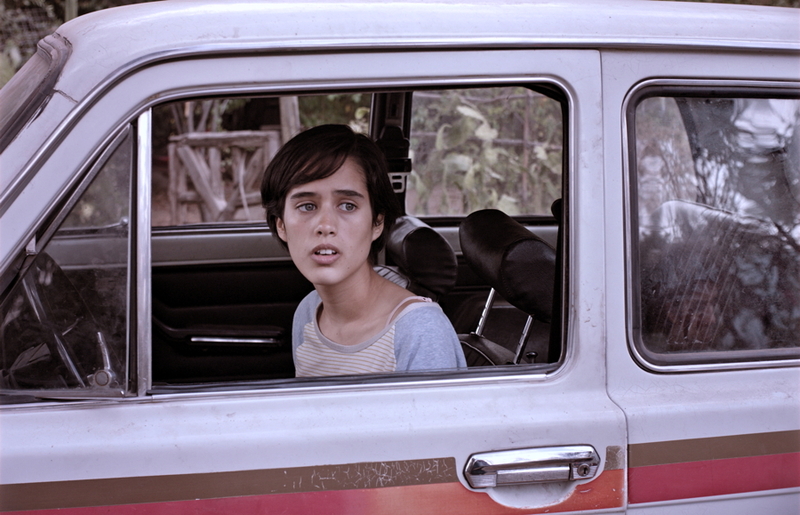 The film opens as Pablo (Juan Pablo Olyslager) drives into the grounds of a mansion to find both his family and that of his wife waiting for him. The heavy rain presages all is not well; a sense reinforced by the grim visages of the men and a note of hysterias in the women. It takes some time for the crisis to become clear but one gradually realises that either Pablo ‘has come out’ or that he has been ‘outed’ by an acquaintance. How shocking this news must be is emphasized by an earthquake shortly afterwards. Initially Pablo has to leave home and set up his own apartment, assisted by his current gay partner, Francisco (Mauricio Armas). The film spends quite an amount of time showing Pablo adjusting to this change of life. Whilst initially coy, the first use of the word ‘gay’ is only heard thirty minute into the film, in these sequences the life of gay men is fairly explicit. The apartment is in what seems to be a slum area and we do see life on the nearby streets. Whilst this has been taking place we have seen the family members attending a revival type religious meetings. This bears all the hallmarks of a cult with a dominant leading male and female pastors. It seems at first that Pablo will settle into his gay life. But the family are efforts to ‘rescue him’. The cult, clearly homophobic, actually has rituals to cleanse such sinners. And we see Pablo sent [more or less willingly] to a rehabilitation centre. This is a really oppressive set-up. There is religion, a sort of secular confession, group therapy and more masochistic actions. At one point we see Pablo receive an injection into his testicles. Rather to my surprise this actually works and the film ends with Pablo, his own family and the relatives of himself and his wife, all singing, waving hands, and heavily involved in a cult ceremony. For me there was definitely an overdose of religion in this film. And there is little sense of the theology of the cult. The cult espouses fairly reactionary values and is extremely hierarchical. The congregations seem to be required to sing, shout, wave their hands and adulate their pastors. The film intends a critical view of all these religious practices. 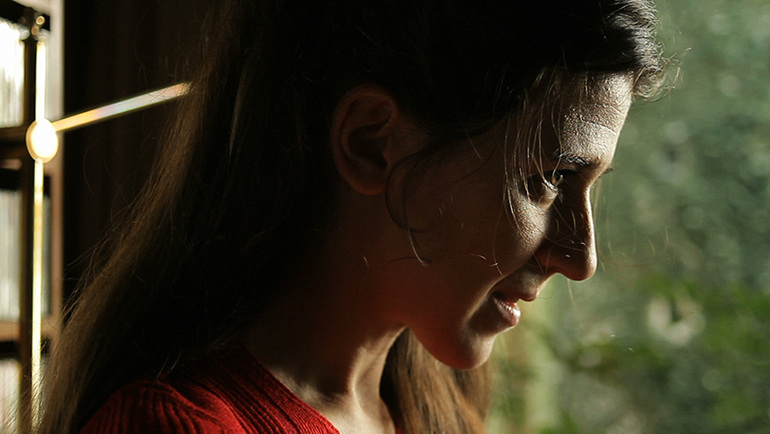 The last shot of the film shows a young woman, Luisa, looking at the compliant Pablo. She is a servant in the family household but also one of the rare members who sympathises with Pablo’s situation. But I would have liked more distance throughout the film; some idea of what the cult actually stood for; and a sense of where this faction fits into the wider urban society. I would have engaged more with the film if the critical stance was more explicit. 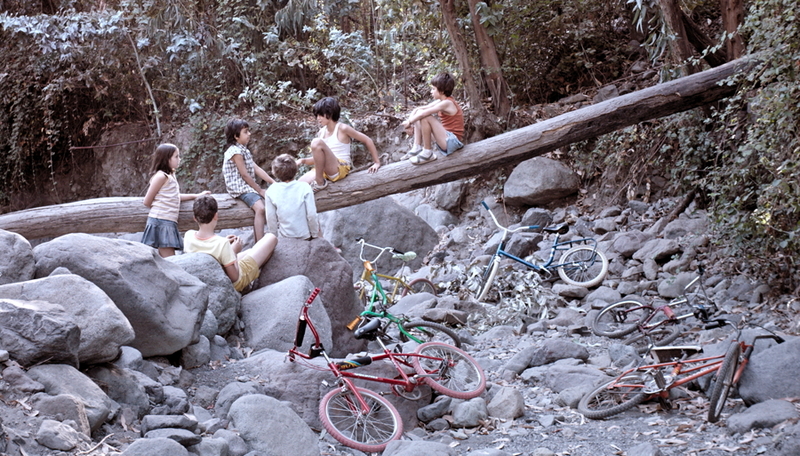 The style of the film emphasises the intensity of the cult and of the relationships among members. Most of the film is shot in a shallow focus and with extensive use of close-ups and large close-ups.The feel of this is stronger as the film uses the widescreen of Panavision in 2.39:1. I think it is this close almost subjective feel that inhibits the sense of the critical. It is also in colour and the digital version I saw had English sub-titles. Overall the cast and the technical work are good. I am possibly less able than some to sit through a lot of religion. I have thought that last year had an extra large slice of religion, including two films about Jehovah Witnesses. These cult members in Guatemala make them look rather limp. The film is written and directed by Jayro Bustamante. I also noted that the actor playing Pablo has carried over his name. I incline to think that the intensity of the film is based on actual experience by someone involved in its production. The director studied in Paris and his first film at home was Ixcanul (2015), the title won a prize at the 2017 Berlinale. He has founded his own production company, and, interestingly, Guatemala City’s first cinema dedicated to independent film. This title has been supported by European funding and Memento Films were involved. So a British release is possible and it is a powerful drama to watch. I’ve bashed Netflix a few times on this blog but am grateful to it for A Twelve-Year Night, an extraordinary biopic of three political prisoners who were tortured and kept mostly in solitary for 12 years up until 1985. Writer-director Álvaro Brechner does a brilliant job of conveying the hell the men lived by focusing on their experience, firstly by laying out the restricted routine of their lives before opening out the narrative, mainly through flashbacks. Through this we get a sense of the claustrophobic lives they were forced to live having being imprisoned for opposing the military dictatorship. The ‘opening out’ is obviously a relief to the spectator and the contrast with the early part of the film gives us a sense of the mental torture of loneliness and depravation suffered by the men. If it all sounds gruelling, and the first hour is tough, the film is leavened with humour such as how one of the prisoners advises a guard on how to write love letters. The script is based on two of the prisoners’, Mauricio Rosencof and Eleuterio Fernández Huidobro, book about their experiences; the third prisoner was Jose ‘Pepe’; Mujica. As is conventional at the end of a biopic we find out what happened after the end of the film; I was truly gobsmacked by what the men did afterwards. My astonishment was, in part, caused by my ignorance about Uruguay; I’ve only seen one other film from the country, 25 Watts and Alfonso Tort (Huidobro) features in both. Antonio de la Torre (Mujica) may be familiar from the television series The Night Manager (UK-US, 2016); Argentinean Chino Darin completes the triumvirate as Rosencof.